Double flowering plums (our “northern cherry blossoms!”). It’s a bit too cold up here in Alberta to grow the sweet cherry trees you’ll find in warmer climates (we do have gorgeous and delicious hardy sour cherries, however!). We’re not complaining in the least. Especially when the double flowering plums (Prunus triloba ‘Multiplex’) put on a show like they are this spring. Do you grow cherry trees or double flowering plums? *POST UPDATED MAY 2018 to incorporate a title change and a note about sour cherries. 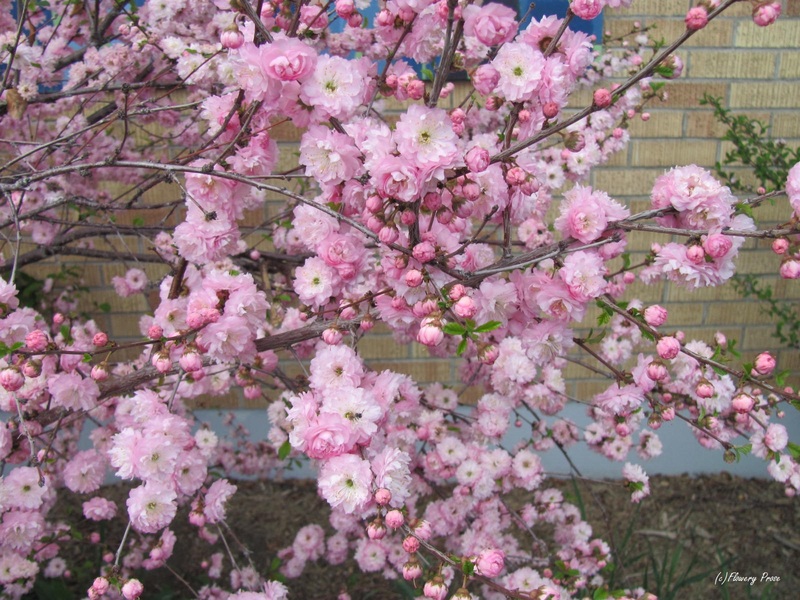 This entry was posted in Botany, Flower, Gardening, Horticulture, Photography, Plant and tagged Alberta, Cherry blossom, cold, Double Flowering Plum, Hardy, Prunus, spring. Bookmark the permalink. ← Kinnikinnick and Elbow Falls. It really is lovely! Amazing how hardy these plants can be when the flowers look so delicate. I have one miniature ornamental cherry – Prunus Incisa Kojo-no-Mai – and despite being tiny, it put on a pretty show too. I had to look up Prunus incise Kojo-no-mai (http://www.ornamental-trees.co.uk/ornamental-trees-c18/flowering-cherry-trees-prunus-trees-c34/prunus-incisa-kojo-no-mai-tree-p672) – how lovely! I like that they have such great autumn foliage as well. Lovely photos of blossom! I’ve been out cherry blossom viewing a lot this year – in London and Japan. Please take a look at the photos on my blog. Absolutely fabulous photos! Your blog is wonderful; I look forward to following your posts. I had one lovely shrub at the other house and miss it terribly so I’m thinking of getting some for this house. They are gorgeous. I wish we had a yard to plant them…they are such showstoppers. You definitely need one, LOL! (Can I live vicariously through your garden?). Beautiful aren’t they! Mine is totally full of buds waiting to blossom. Hoping the strong wind stays away for a few days so we can enjoy the spectacular show. Hurrah, the buds survived! After last year, every time they are not killed by late frost is a cause for celebration. I don’t grow either but I have planted a native black cherry tree that hopefully may bloom next year. Oh, you’ll definitely have to photograph it and show everyone if it does! I would love it if we could grow them here. Thanks for sharing the link to my post, featuring the cherry blossoms in Brooklyn, New York. Your pictures are very pretty. I’ve never seen flowering plums before. I’m so glad that I followed the “sound” of your ping to your “doorstep”. Your blog is lovely; I look forward to more of your posts! The cherry blossoms in Brooklyn were glorious! What a beautiful tree! I wish I could grow cherries but we have a problem with black knot around here so nothing in the prunus species for me. I have to admire cherry blossoms virtually these days. That’s so sad! I’m worried about the fact that there are so many Prunus spp. around here. Black knot will eventually take many of these trees, I fear. 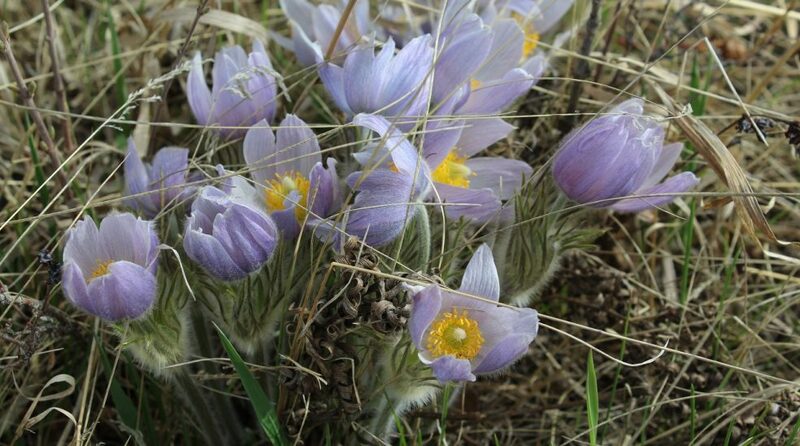 Finally, spring has arrived in Calgary! I couldn’t be happier! 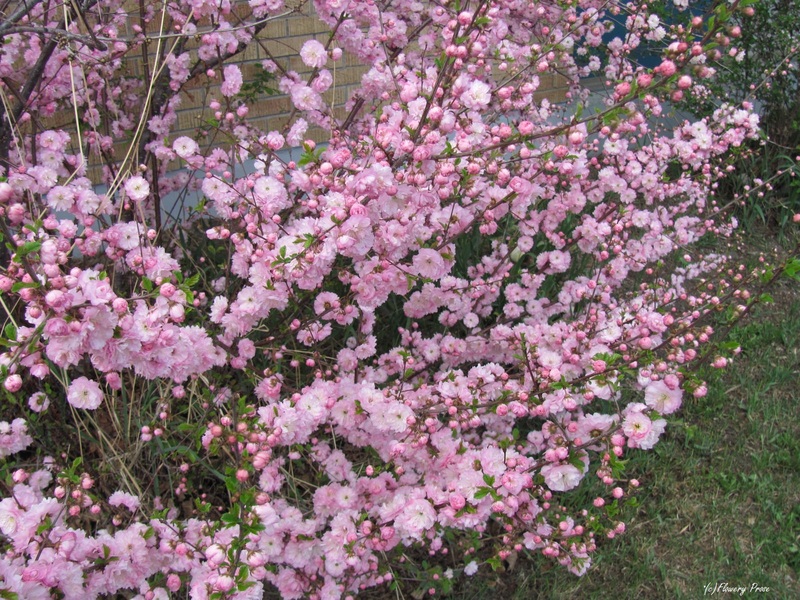 Your flowering plum is absolutely gorgeous; certainly a reward for perseverance. I am enjoying the tree blossoms in Bowness. Many years ago I happened to be in Washington, DC at cherry blossom time. It left an indelible memory of the beauty. Literally transformed the city. Oh, I can imagine it would have been an absolutely breathtaking sight! So beautiful, I wish we had ornamental cherry trees in our yard! We’re just down the street from St Josephs Cathedral on Jasper Ave, they have wonderful flowering trees on the property. I’m not sure if they’re double flowering plum or crab apple but they’re stunning. Putting them on the list. You really can’t beat the colour of either the plums or the crabapples, can you? Sigh…spring is only…what…eight(!) months away…. Still, I shouldn’t complain – we are having the most amazing autumn, aren’t we? We were having fab weather up until today. Yikes it was really windy. A cold northerly wind. I’m not ready for it. Let’s just think spring then, shall we. They are such a delight to see! Absolutely gorgeous!! I didn’t know there were double flowering plums. Great deal.